Britain aims to close its coal-fired power plants by 2025 under plans announced today (Wednesday), becoming the first major economy to put a date on shutting coal plants to curb carbon emissions. Instead, the country will look to nuclear and natural gas-fired power plants to complement intermittent renewable energy. “It cannot be satisfactory for an advanced economy like the UK to be relying on polluting, carbon-intensive 50-year-old coal-fired power stations”, Secretary of State for Energy and Climate Change Amber Rudd said. However, if coal power plants are able to install carbon capture and storage (CCS) before 2025, they would not be closed. Around a third of Britain’s electricity came from coal-fired plants last year but many of the 12 still operating are old and due to close over the next decade under tightening European Union environmental standards. 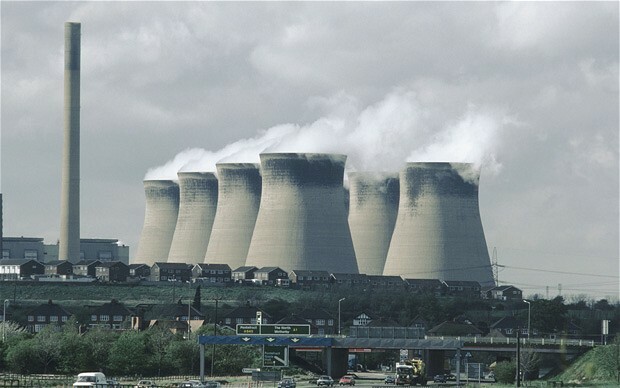 British power producer Drax announced in September it would halt investment in the country’s only coal power station carbon capture and storage (CCS) project when it is completed. German utility E.ON operates a 2 gigawatt (GW) coal-fired plant in Nottinghamshire, England, which is fitted with pollution-reducing technology that means it could still be running in 2025 under current legislation.